I left London 1011 hours ago having crossed off everything on the longest to do list I had ever written – and for those who know me, that is quite a statement. Planning a transatlantic also means that this list was the most random of all. One line read ‘512 Hours’. 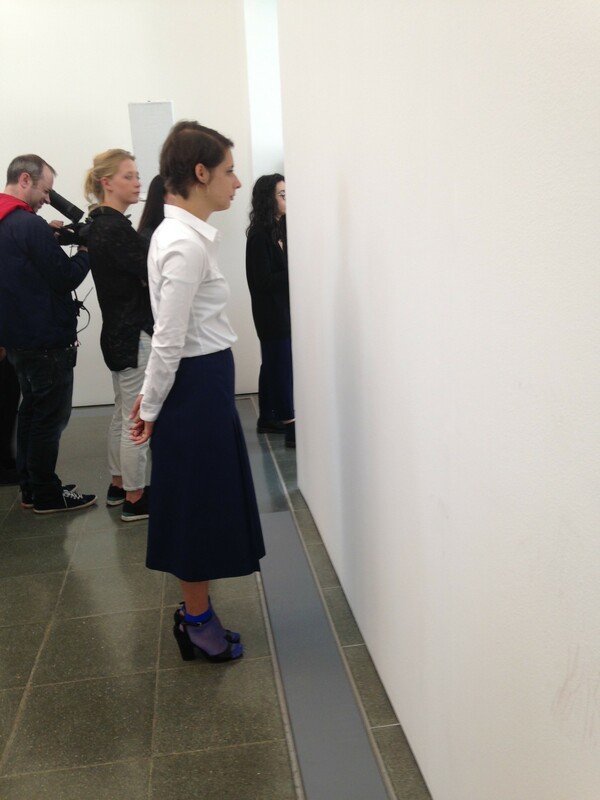 It was not my countdown but Marina Abramovic’s exhibition at the Serpentine Gallery. I went on July 24th, 2014, 72 hours prior my departure. The show opened at the Serpentine Gallery on June 12th, 2014, the same day as Be My Guest at the Galerie E.G.P in Paris which prevented me to see it at the time. So there I was that morning after having read numerous articles about the exhibition. 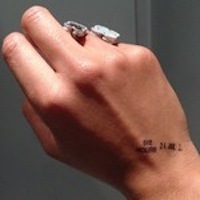 They were all promising that it was the most radical of the artist’s show so far since there will be nothing. The tag lines were fun and easy: ‘Come and experience nothingness’. ‘See Marina Abramovic do nothing for nothing’. ‘Can an artist be accused of stealing nothing?’ (in reference to the controversy with Mary Ellen Carroll’s work on nothingness). Based on these articles I had pictured empty rooms. I imagined that I would have stepped into a blindingly white space where Marina Abramovic would be walking around for 512 hours. In this mental rendition, people could only enter one by one for this vague encounter with the artist. I was therefore getting ready to queue for hours. I therefore felt lucky when I only needed to step in the Serpentine. I got a stamp on my hand, left my belongings in the lockers provided, took my noise canceling headphones and entered into the first room. All over sudden the atmosphere is tamed. One walks on cotton wool barely hearing one’s muted steps. There in the center is a pedestal surrounded by folding chairs. Does ‘nothing’ translate into a lot of people either standing in the center or seated seemingly meditating? To the right camp beds lined up orderly give the next room the allure of a military field hospital. In these beds, some people are sleeping, dosing or maybe thinking? To the left people are walking back and forth in an other room at an exaggeratedly slow pace.I could not resolve myself to go and walk. The idea made me terribly anxious but I watched, stared, fascinated for some time. Everything had slowed down – movement, noise, my thoughts. I get back to the first room and I seat and there I am, closing my eyes. I just could not keep them opened. And there we are back where we started the exhibition but this time we have nothing to see, nothing to hear, nothing to do. Yet my thoughts get in the way and try to combat the idea of being nothing, of doing nothing. I desperately hang onto the only sound I can hear, my heart beat before I finally let go and experience nothingness. Coming in, I had mixed up nothingness and emptiness. Emptiness is the state of containing nothing while nothingness is the absence or cessation of life or existence. 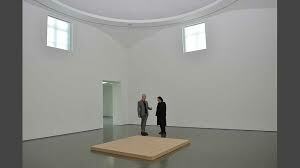 By creating nothingness for us, by pausing our existences, Marina Abramovic allows us to experience emptiness. In Paris, at the Palais de Tokyo, I was interested in the fact that Hiroshi Sugimoto was talking about the ‘void’ as the 5th element after earth, air, water and fire. And there I was, experiencing it in Hyde Park. I went and did nothing with Marina Abramovic. For a brief moment I reached a meditative state that made me feel wholesome and that is quite a goodbye gift that was sent my way by London.